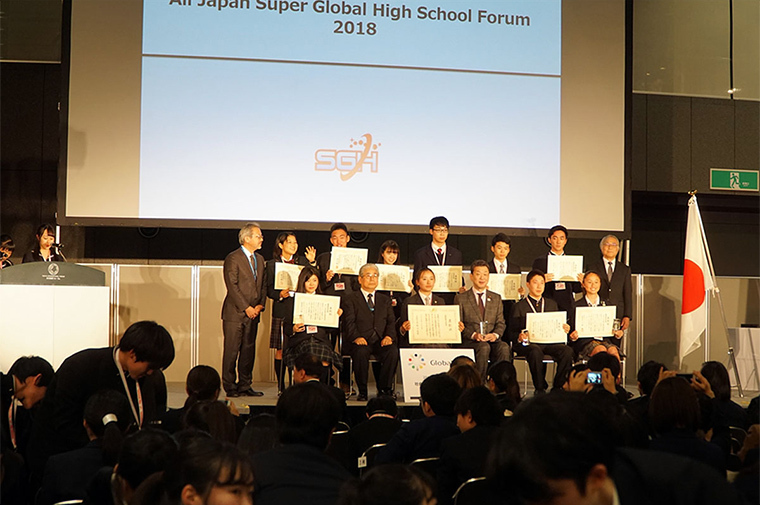 The “All Japan Super Global High School Forum 2018 ” was held in December. In this forum, 123 SGH designated schools, 18 associates and 5 municipal high schools gathered together. 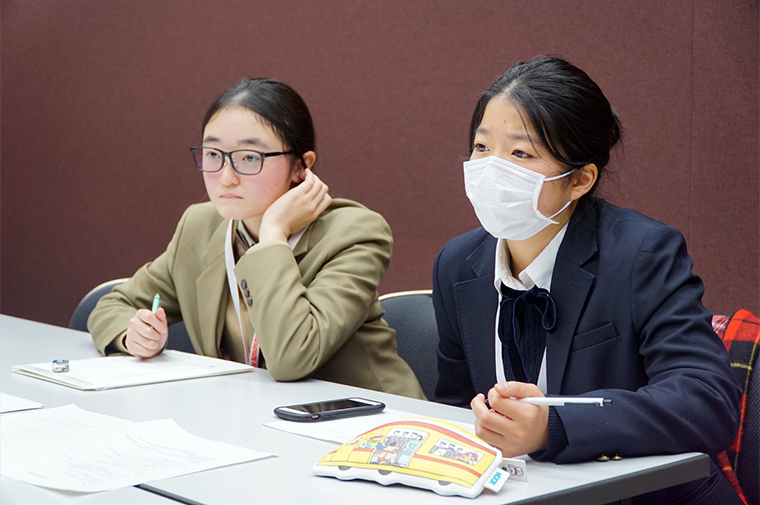 Two students from Tamagawa Gakuen participated. This forum was held jointly by Tsukuba University and the Ministry of Education, Culture, Sports, Science and Technology. High school students presented solutions on global social issues and business issues in English. 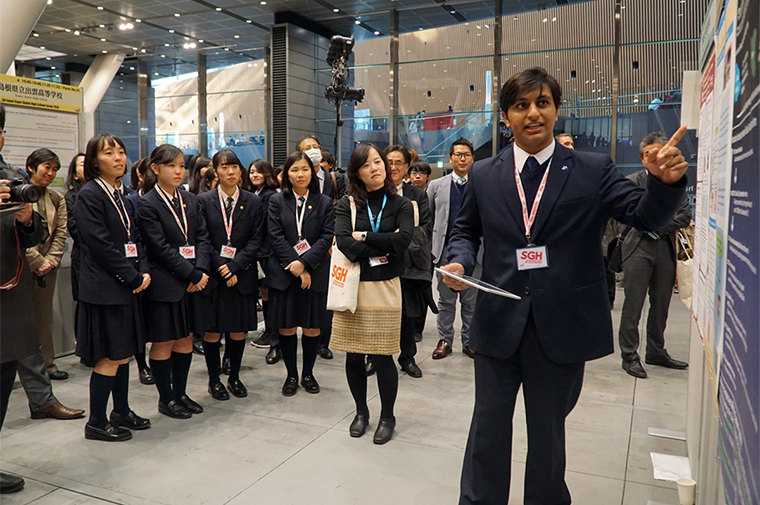 More than 500 students, teachers, international students and educational officials gathered at the Tokyo International Forum. 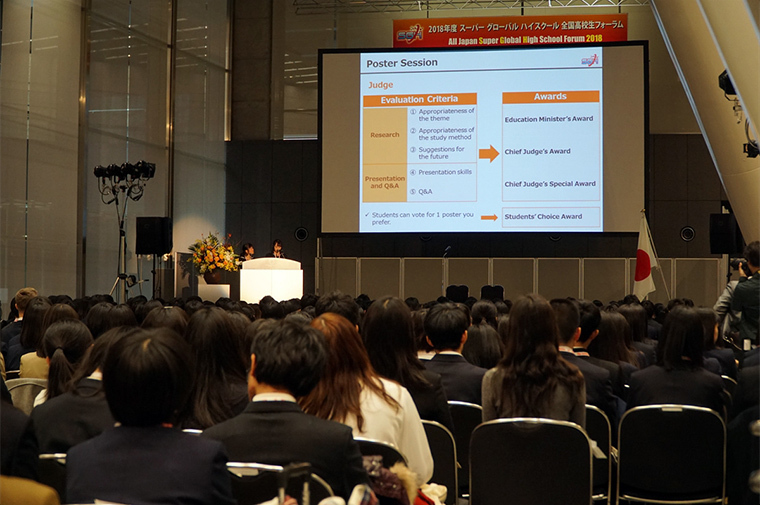 The forum began with the opening ceremony at 10 o’clock in the morning and proceeded with a poster session in the main hall and discussion sessions in 10 meeting rooms and was concluded with an awards ceremony. Students confirmed the flow of the meeting. They moved to their places and started discussions and panel presentations. 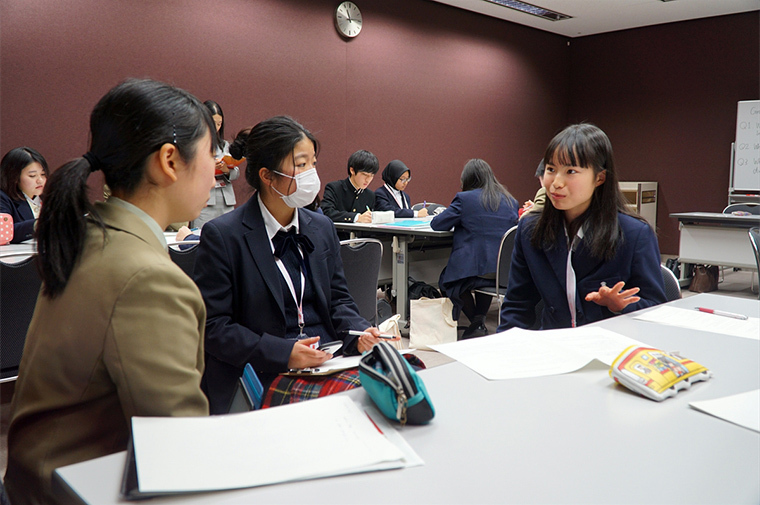 The students from Tamagawa Gakuen first participated in a thematic workshop. They selected “politics, diplomacy, international relations” from among 10 themes such as “human rights · gender” and “immigrants · refugees · multicultural symbiosis”. When the students entered the conference rooms dedicated to the various themes, they made groups of 4 or 5 people. 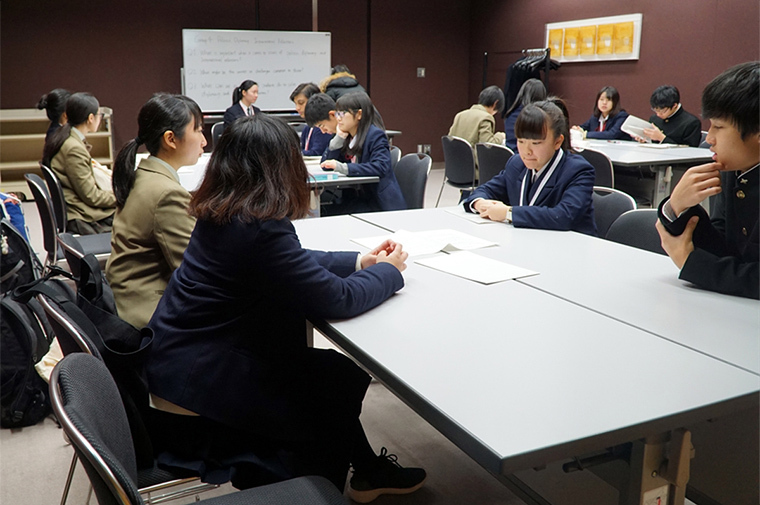 The discussion that started after their self introduction was a bit awkward at first, but as the students of Tamagawa Gakuen listened to the instuctions from the moderator and grasped the concepts of the format, they were able to take leading roles in the discussions. Based on their knowledge of the international situations, the students actively facilitated the discussion by guiding the direction of the discussion or listening to the opinions of the other parties. 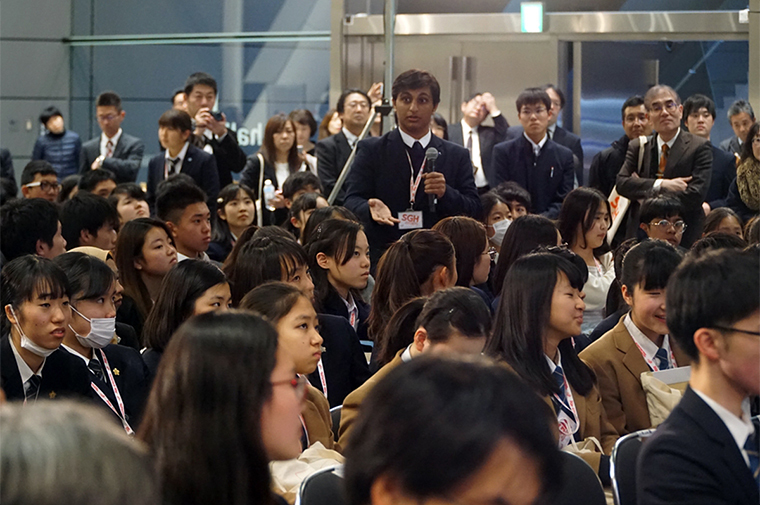 After the discussion, the students changed seats and discussed the next topic. Ultimately, the students built ideas of “what we can do as high school students” and presented the groups’ conclusions. Sometimes they struggled for words in English or couldn’t express their thoughts clearly, but the students of each group helped each other to make the presentations succeed. In the end, the students enjoyed interacting with each other and taking pictures with the group. 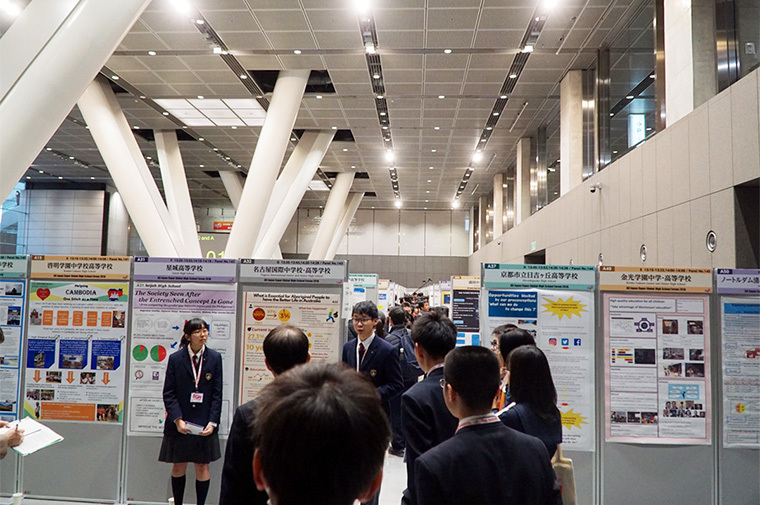 The students from Tamagawa Gakuen who finished the discussion session attended the presentation of a poster session in the hall. In front of a large number of listeners, a Tamagawa student made a presentation on his chosen topic. His confident delivery and persuasive aguments appealed to the audience. 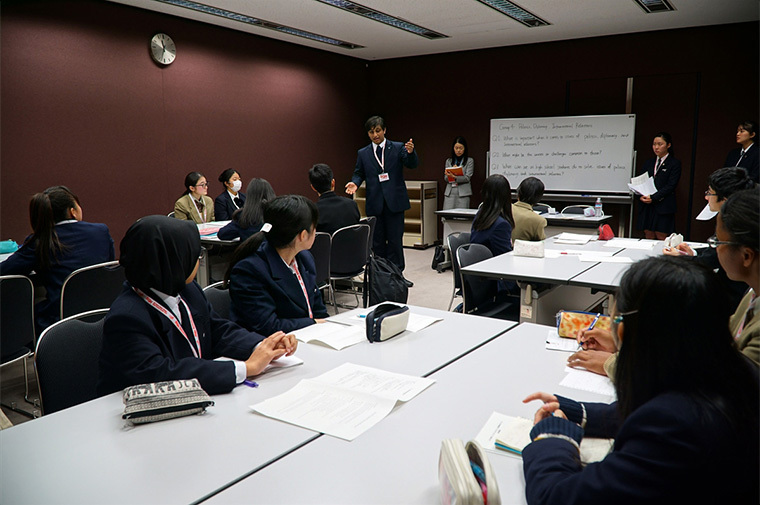 At the presentations by other school presenters, the students of Tamagawa Gakuen deepened their insight on various international issues by asking questions and discussing the topics. 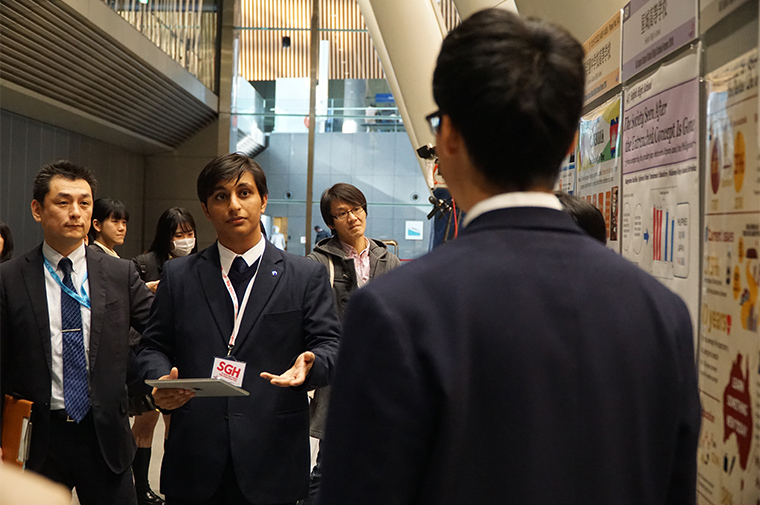 After the poster session of all the schools, the “whole tournament” was held where all participating students discussed various topics. The students of Tamagawa Gakuen prompted active discussions with their remarks, and the students showed good command of the issues. 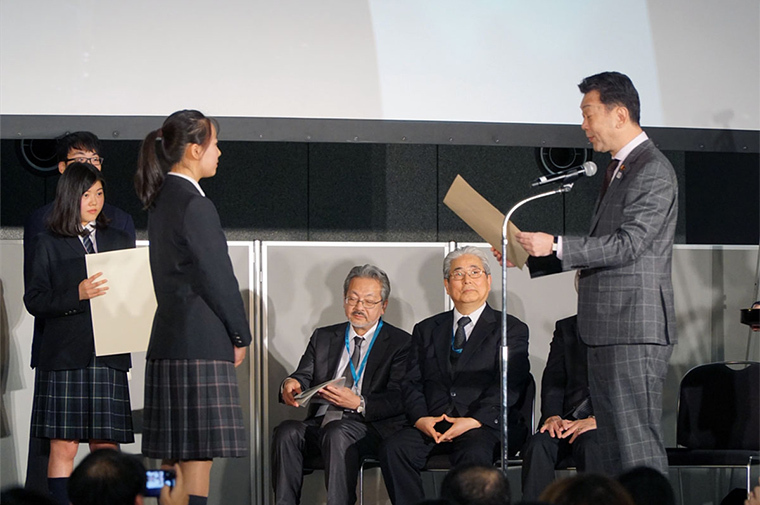 In the award ceremony which concluded the forum, the Education Minister’s Award was awarded to the students of the school who performed notably well. The student was awarded a certificate of commendation and the right to study in Singapore. The students looked back on what they learned by considering what kinds of things high school students across the country are thinking about. They also questioned and evaluated their own level of English proficiency? The students learned more about their current position and got an important experience to consider their future and how they can act on a global stage.